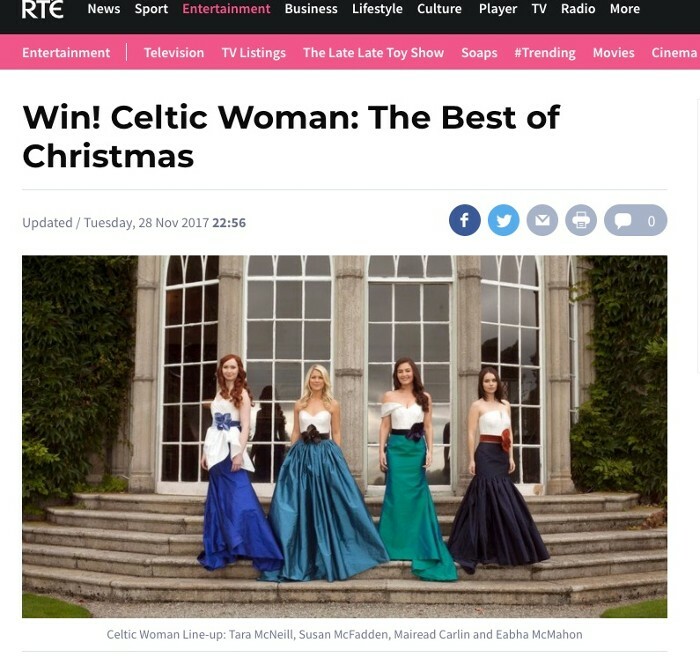 Celtic Woman are delighted to join RTÉ, the Irish national broadcaster, to give fans the opportunity to win a copy of the new Christmas album. Win! Celtic Woman: The Best of Christmas which includes 20 festive tracks to get you in the mood for the holiday season - and RTÉ Entertainment has five copies on the new album up for grabs.